How to Calculate Training Return on Investment For HR Professionals Who Want to Close the Gap Between Employee Performance & Business Objective? >> How to Calculate Training Return on Investment For HR Professionals Who Want to Close the Gap Between Employee Performance & Business Objective? WHAT IS TRAINING ROI ? Training Return on Investment (ROI) is a method of measuring the return on training investment on training initiatives. Training ROI gives you a better picture of employee productivity rate before, during and after training and how that helps in reaching business goals. HOW TO CALCULATE TRAINING ROI? Training ROI (percentage)= ( Total net benefits – Training Costs) /Training Costs x 100%. Will allow you to invest only in those trainings delivering a good result- Even though calculating is very time consuming, but calculating ROI let you see which training are the best and only invest in those good one hence saves your cost. Increase the productivity rate at work- Most employees often attend training that they are not keen on. Calculating ROI gives you a better understanding of employee’s need which is essential to your business’ growth. The comprehensive evaluations take time, but it promises long-term rewards. Cultivate a reputation for progression in your company- Calculating training ROI builds company’s reputation because you know which training is the best for the business goal. It is also a good reason to convince your CEO, that upskilling employees is equivalent to upskilling company’s name and reputation. Able to deliver the most effective training to upskill employees- You will have a comprehensive evaluation of the training that will help you transform your training into a lean, mean, talent-unleashing machine. It allow you to understand your employee better- Though companies provide lots of training for the employee but the results are not showing because company fail to understand which trainings suit the best. With ROI, you know what exactly works. This will make also make employees happy because you understand their need and increase retention. Make your job as a HR and training development manager easy- ROI equips you with the right set of skills, knowledge and capability to present to your CEO necessity of training programs for your employees. It establish and justify training budgets– This helps you tie training directly to a quantifiable factor such as improved productivity or process improvement which gives you a value figure that reflects the efficiency of the training to your company’s bottom line. Results here are discrete items such as time taken to produce, quality of the product, durability of the employee and such. For example, if the training is intended to teach how to overcome fear as a salesperson when facing customer your baseline criteria to measure against are how long it takes an average salesperson after training to close a sale. Using the same example, measure how long it takes your sales professionals to close a sale. If the average number of sales closed per employee is 2 per week after training the time taken to close sales should be lower because the skills they obtained from the training should help them close more than 2 sales a week. For example, if it costs the company RM 1500 per week per employee for all the calling costs, transportation, wages and so on to close a sales after the training if it is successful, you should expect a lower cost of production. After receiving the training, each employee should produce more than the average (outcome). So, previously with RM1500 per week each employee produce 2 sales (RM2000), with each sale valued at RM1000. After training, the product price is still RM1000, but the production cost should drop, whereas the number of sale should rise. For example, the net benefit here is the increased number of sales for the company by each employee per week. Before training, the weekly profit was RM1000 per employee. After training, each employee should make at least 3 sales (RM3000) a week. So the new profit is RM2000. The total annual profit is now RM 24,000 to previously which was RM12,000. Use the net benefit, increased profit and training costs that you have already calculated. In this example, ROI = ((RM 3000- 1,000)) /1,000 x 100 ), for a percentage return on investment of 200%. This training can thereby be shown to have been beneficial, since you are getting a return of RM2000 for every RM1000 spent on the training. Efficiency- In practical, efficiency means the amount of time it takes to complete a task. Efficiency has a direct relation to cost. The more efficient a training program is, the less it will cost for more training. Number of Active Participant- Although by no means number of participant gives a true measure of the effectiveness of training, but it does reflect that the participant are engaged and gaining something so the training methodology is meeting expectations. Indirect Cost- Indirect cost such as salaries of trainers, the costs of rooms, equipments and so on should be taken in consideration before summing up the net profit because if the training did not take place, these costs would not be incurred. Speed- Though training takes time to see the result and expecting immediate result is not practical but if the training is handy, there will be a increase in speed to reaching the business objective. Reactions- If the employee react negatively or restless to the training provided, they are less likely to transfer what they learned to their work and more likely to produce bad result at work, leading to low productivity. Learning Output- Output is new or improved skills, knowledge and attitude. Though, learning is subjective but it can be measured in term of the ability to solve or enhance the performance at work. Retention- How much of the learning from the training has stuck after the training is over. Behaviour change- If the employee has learned something from the training, it will be reflected in their behaviour on the job. Behaviour can be measured through observation. Mistakes- Though mistakes are common on any job, good training should reduce the number of mistakes committed. In conclusion, ROI reflects the accuracy of a training but as HR or training and development manager you must must take into consideration how tracking the efficiency provides value for a business, and how it is limited in scope in order to fully understand it. 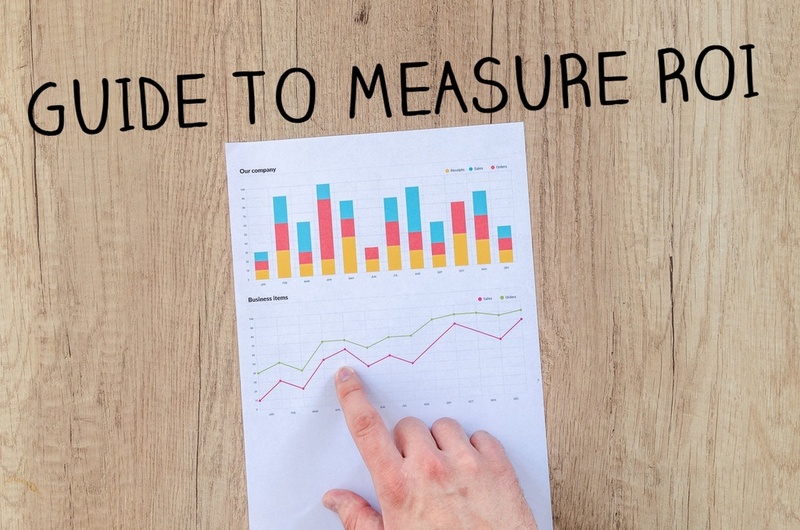 Choosing the right factors to measure, both before and after training, enables you to show how training has resulted in benefits to your employees and your company. Also, remember that ROI is a historical measure, meaning it calculates all the past returns. A training can do very well in the past and still falter in the future. If you invested late based on the historical ROI, you will be disappointed. So, make sure to always be up to date and keep track of little details and figure! What are the result you want out of the training? Which training would work the best for your company? What are the profit before and after the training? Is the any personal improvement in the employee after the training? If you want to learn more about ROI measurement and finding the right training for your company, feel free to contact us.